This is the RDS 60 Gallon Diesel Auxiliary Tank & Toolbox Combo (Tall). Increase driving range with an auxiliary fuel tank with toolbox built in! Auxiliary tanks can be used as additional capacity for a factory tank with the use of an RDS diesel install kit. Shop for better fuel prices with this increased range. Each tank comes with gas cap, suction tube, drain fittings, manual sight gauge, fuel filler shroud, along with internal baffles to reduce sloshing. 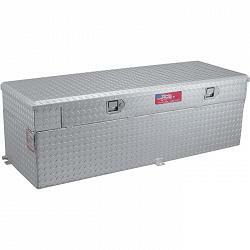 Toolboxes come with linked stainless steel locks that also secure the fuel fill to prevent tampering, and two lift cylinders to hold open the crowned lid. All tanks Meet DOT standards. Diesel Install kits are optionally available. Not intended to be used for gasoline. Made in the U.S.A. NOTE: For safety reasons, the filler neck of these tanks prevents them from being overfilled. Actual usable tank capacity is about 95% of the total advertised gallons. Please be aware that tanks/toolboxes may have mounting tabs that extend the dimensions of the tank by 1 inch on each side. This is NOT accounted for when viewing the displayed dimensions of the tanks/toolboxes. Please be sure to account for this when measuring for fitment of your tank/toolbox. RDS warrants all products to be free of defects in material or workmanship for a period of 1 year from invoice ship date from our warehouse. If upon our inspection we deem the item to be defective, RDS will determine whether to repair or replace the defective item. It is the customers responsibility to ship the item to RDS. 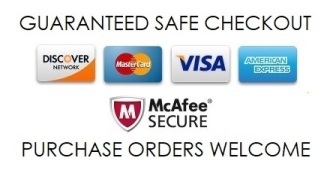 No cost for labor, installation, or missing contents will be reimbursed. Damages due to shipping and handling, improper installation, abuse - intentional or accidental, or normal wear and tear are not covered by this warranty. Warranty is void if the tank has been altered.